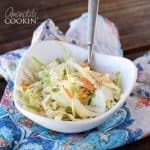 KFC Coleslaw: copycat KFC coleslaw recipe, just like the Colonel! 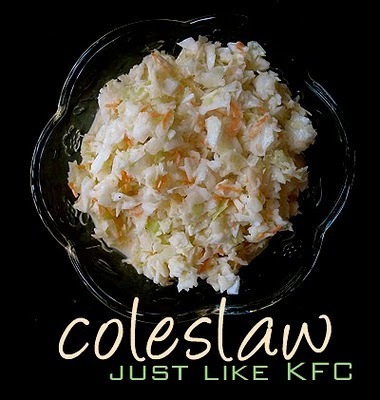 My family loves KFC Coleslaw, so much that they refused to eat any other coleslaw recipe I suggest. That got me thinking, maybe I should try making a copycat recipe for KFC coleslaw myself? 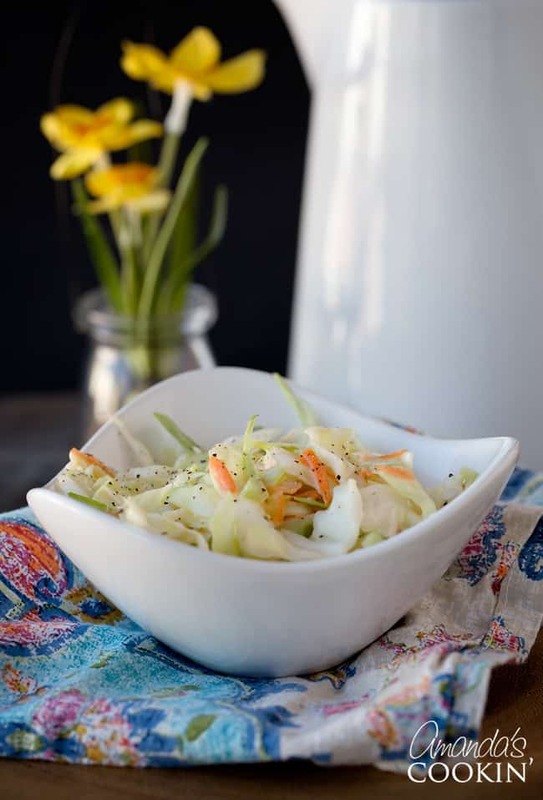 I’ve tried quite a few different types of coleslaw in my day, but this particular coleslaw recipe turned out perfectly! It’s a great dish to bring to a family get-together or a potluck. 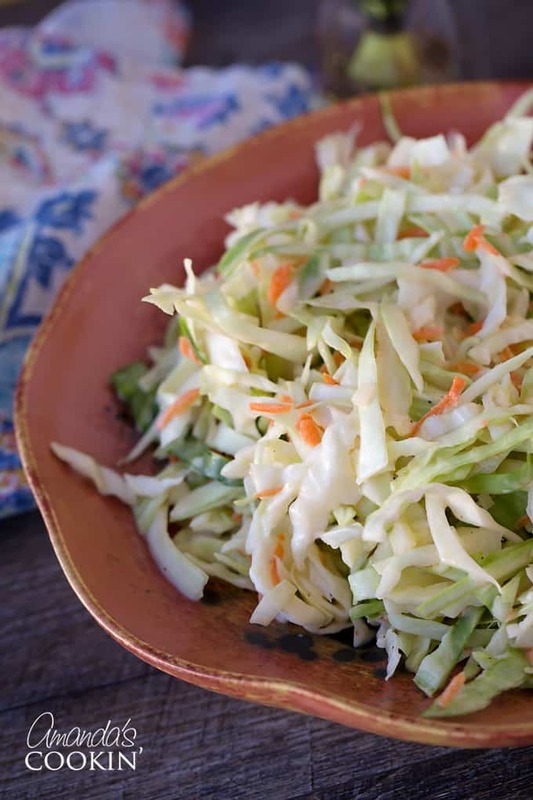 This infamous slaw recipe is one you’ll make more than just once! The results, at first taste were pretty close to KFC’s, but there seemed to be an overwhelming fresh cabbage flavor right after making it. However, after this sat in the refrigerator for several hours, the cabbage had time to soak up the flavor of the dressing, and that did it! Just like KFC! Use a food processor to make quick work of creating the slaw. If you insist on using Miracle Whip instead of mayonnaise, be sure to reduce the sugar by half. I cannot guarantee your results as I have not made it with Miracle Whip. No buttermilk? Add 1/2 teaspoon of lemon juice or white vinegar to 1/4 cup of milk to replace the buttermilk. This recipe uses white vinegar. However, many have commented that when working at KFC back in the day, tarragon vinegar was used. Substituting tarragon for the white is absolutely acceptable. Allow the finished coleslaw to sit for at least 4 hours to allow the flavors to soak into the cabbage. Eating it too soon will result in a heavy cabbage flavor. RELATED: Looking for another delicious side dish? Try this Hidden Spinach Guacamole. Packed with a whole serving of vegetables, this guacamole is sure to please your guests! Food processor – you don’t have to use a food processor, you could use a knife. However, a food processor cuts things uniformly and takes a fraction of the time than hand slicing. Chefs knife – every kitchen should have a good, sharp knife! Cutting board – be sure to have multiple cutting boards in your kitchen. You should have a wood cutting board for fruits, vegetables, herbs, and bread. A plastic cutting board is best for raw meats. 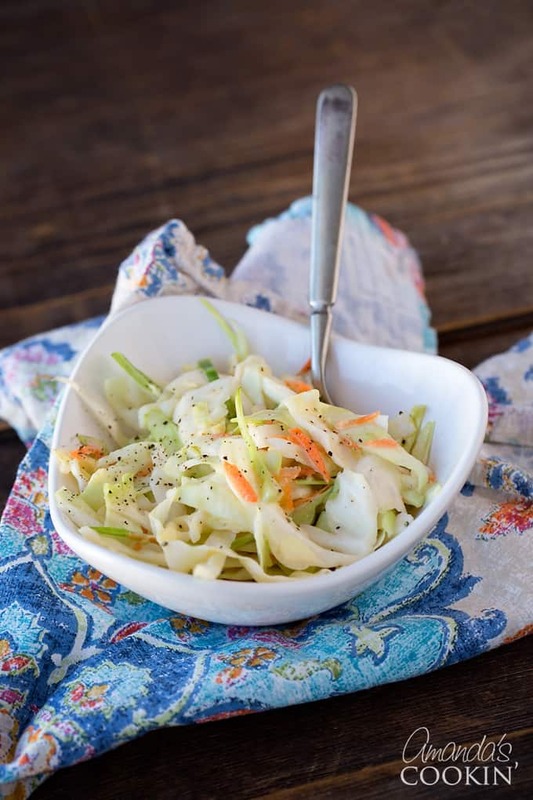 Large bowl – This recipe makes a lot of coleslaw, so you’ll want to use one of your big party bowls! 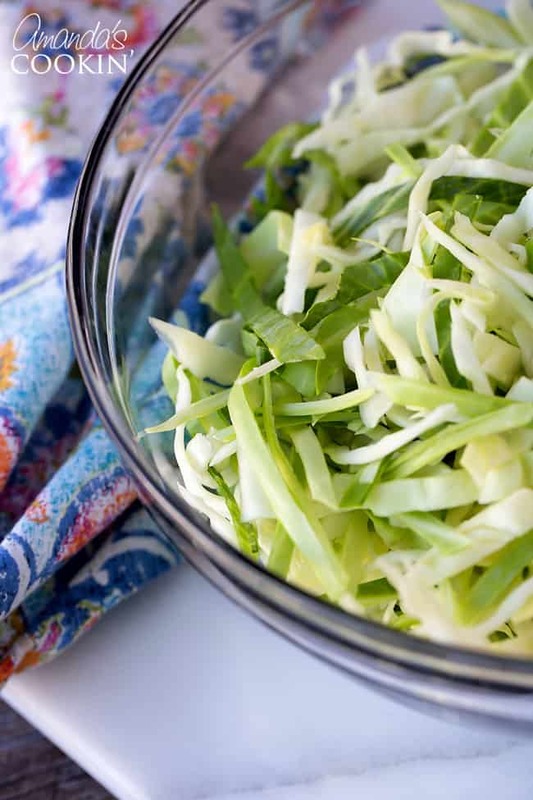 Chop cabbage into chunks and run through your food processor, or chop finely. It’s up to you to decide the size you’d like your cabbage to be. Combine all of the dressing ingredients in a large bowl, whisk well. Combine cabbage, carrots, and onion and toss well. Pour dressing over the slaw and turn to coat well. Cover and refrigerate for at least 4 hours before serving to allow the cabbage to soak up the marinade. Overnight is best. If you’re looking for more food processor recipes try these! This post was originally published on this blog on June 27, 2010. 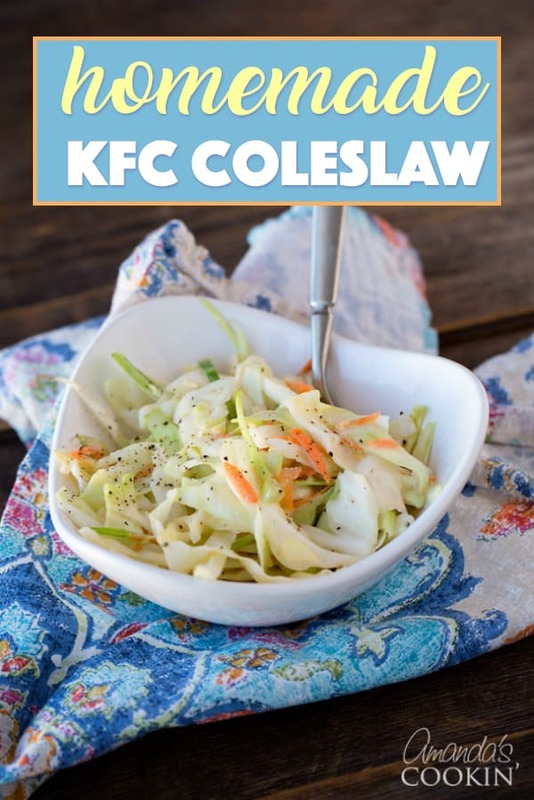 This KFC coleslaw copycat recipe is delicious! You won't be able to tell the difference. 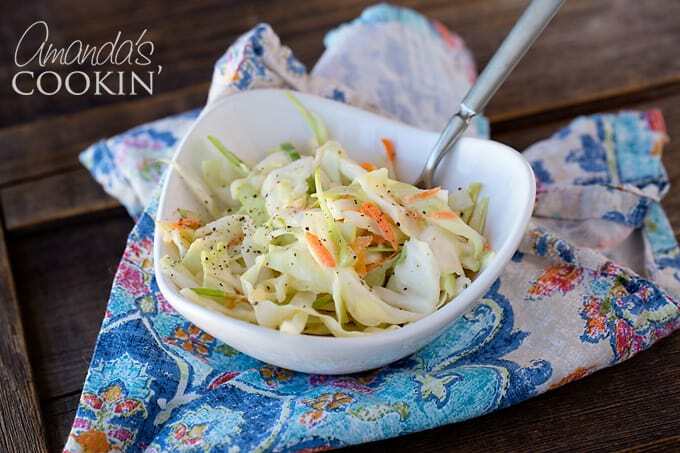 This coleslaw recipe is the perfect gathering or potluck dish! Chop cabbage into chunks and run through your food processor, or chop fine. It's up to you to decide the size you'd like your cabbage to be. Combine all of the dressing ingredients in a large bowl, whisk well. Combine cabbage, carrots, and onion and toss well. Pour dressing over the slaw and turn to coat well. Cover and refrigerate for at least 4 hours before serving to allow the cabbage to soak up the marinade. Overnight is best. I’m not positive, but l do believe horse radish is in the recipe for KFC Cole slaw. Thanks again for using Pinterest. Thanks Linda and sorry that happened! I got an email about it too and it’s really weird because it’s MY photo that was reported and I didn’t report it. I’ve written to Pinterest about it. Thanks! My father worked at a KFC in the seventies and he always used tarragon vinegar for the coleslaw. The recipe called for that particular vinegar. Is 1/3 cup sugar correct? Seems like a lot. Type 2 diabetic, but I love Cole slaw. Just checking. I make a similar dressing with mayo, sugar, lemon juice, and a little salt. Also, do not add onions, but do add chopped green peppers (bell). A friend of mine uses seeded jalapenos for a little kick. Thanks Beckie Todd, yours sounds great. I made this recipe for the first time this summer for our cookout. It was fantastic and everyone wanted the recipe. I have made it at least ten times since. I worked at KFC while in high school in the early 70’s, before the premixed dressing. We used 1 C Miracle Whip, 1 C sugar, 1/4 C cider vinegar, 1/4 C oil and salt and pepper. I double it and it makes enough for 3 good sized cabbages, 1 med to large onion and 3/4 to 1 bag baby carrots, all finely shredded. This makes enough for my now all grown up family with leftovers for snacking at all hours. 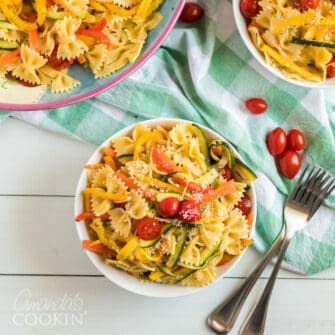 My kids are not picky and would eat anything that didn’t walk off their plates and would practically inhale this, even when they were still in highchairs! Many many MANY moons ago I worked for the Coronel. I discovered the “secret” dressing for his cole slaw: MIRACLE WHIP! It’s Miracle Whip with a little extra sugar and a little extra vinegar. Again, that was many years ago. I haven’t seen a KFC kitchen in quite some time. I made this recipe. It is great! So glad you liked it Pete! Hi Judi. The printable version is designed to remove all photos and advertisements so that there is only black and white text left to print so as to save you on ink. Sorry about that.